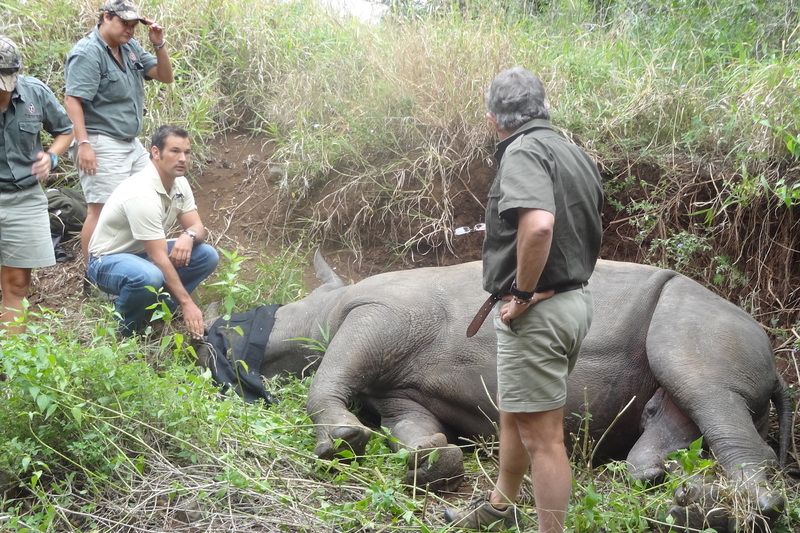 CEPF grantee Space for Elephants Foundation and partners helped funded a tracking device in the horn of this white rhino. Submit all required reports and documents. Complete applications in collaboration with colleagues. Receive automated notifications about your application submissions, payment releases and report reminders. View a complete list of your past submitted proposals. Do I need to use Conservation Grants or can I submit my grant application another way? If you are applying for a large grant, you can do so only through ConservationGrants. If your project receives CEPF funding, you'll continue to use this system throughout the lifecycle of your grant. If you are applying for a small grant, you will not use ConservationGrants. Instead, you will typically submit your letter of interest by email. Read the call for proposals for specific instructions. How do I submit a proposal in Conservation Grants? The system will request the legal name and address of your organization. Complete these details and click “Next.” If you need to update your personal details, click the “or go back a step” button located to the right of the “Next” button. If you are not logged into ConservationGrants, you will be prompted to log in. Review the call for proposals information to be sure you are applying for the correct call. Click “Create Application” in the lower-right corner of the page to begin your application. You may save your work at any time and return later to continue by logging into ConservationGrants and locating the existing application on your dashboard. There is no need to create a new application. Help! I've forgotten my password. How do I find it? Visit ConservationGrants and click "Can't access your account" and follow the prompts. For assistance identifying the username, email us at cepfgrants@conservation.org.